The total population of the Lakshadweep islands comprises 64,429 individuals of which 33106 are males and 31323 are females. They inhabit ten out of the total of thirty six islands. With Kavaratti as the capital and headquarters of all activities there is connectivity with all the islands through various means of transportation like boats, ships, mechanized vessels, helicopters and services provided by the Indian Airlines. 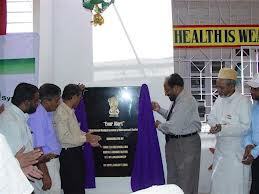 The first healthcare service was initiated at Amini Island in 1874 in the form of modern dispensary. This was an initiative that was met with much opposition at the outset as the original inhabitants of the islands were interested in practicing only their own indigenous curative system. They are opposed to modern medicines. In earlier times due to unchecked influx of several population there was spread of much disease on the islands. There were waves of severe contagious disease like cholera and small pox which decimated the population significantly. There were other disease like leprosy, tuberculosis and filariasis which spread rapidly because of the lack of adequate medical facilities. However, post Independence things began improving because great emphasis was laid on implementing various healthcare programmes which evolved at the national level like the National Disease Prevention Programme, the National Family Welfare Programme as well as the overall imcrement in health status. With this gradual improvement the Lakshadweep islands became much sought after as a tourist destination. With the increase in healthcare facilities like the provision of telemedicine at the Indira Gandhi Hospital at Kavaratti under the Sponsorship of the Indian Space Research Organization (ISRO). This facilities would also be taken to four more islands namely Amini, Androth, Agatti and Minicoy. Kavaratti also has a state-of-the-art blood bank. Various kinds of health activities are also being focused on Bangaram as it has evolved into an international tourism hub. Modern, latest technology oriented medicare facilities are being focused upon for provision at the Bangaram island along with the establishment of a First Aid Centre. All similar centre is being planned for some of the uninhabited islands because people tend to take shelter there during their shipping and transportation trips. Among the new infrastructural additions to the healthcare network on the Lakshadweep islands is the Community Health Centre (CHC) located on the Agatti Island. Also there is the availability of computerized registration of births and deaths based at the Kavaratti island headquarters. The entire healthcare services are being galvanized into action through various government initiatives like posting lady doctors or gynecologists on all the islands. They are attuned to provide all forms of patient comfort facilities like accommodation for person accompanying patients to government hospitals. It is a result of all the concentrated efforts of the government that the Lakshadweep islands had attained hundred per cent coverage for immunization pertaining to six diseases which were vaccine preventable. The best aspect of this achievement was that polio had been completely eradicated from the Lakshadweep islands as there had been no instance of polio on the islands for about a decade. Currently, the Lakshadweep islands administration is concentrating on the combating of water-borne diseases among the locals as well as the tourists alike. Another initiative of the island administration is to give special emphasis on the indigenous medicinal system of the island dwellers with the exploration of the opportunities to document and research the local flora for medicinal plants. As the Lakshadweep islands are becoming increasingly popular it is absolutely essential to ensure that all bookings and reservations are made well in advance to prevent disappointments at the site itself. Besides, there are certain basic health essentials that one needs to follow. Firstly, one should ensure that one carries all the necessary medicines because in cases of emergency it would not be possible to get all the requisite medication on the islands. Other essential elements conducive to the maintenance of well-being on these islands are that corals and coconuts should never be plucked or picked as these comprise criminally punishable crimes. Another prohibition is the drinking of alcoholic beverages on all the islands except Bangaram. As these are strictly imposed restrictions all tourists must adhere to them rigidly. Thus, if one takes certain precautions the entire duration of holidaying on the Lakshadweep Island can be a pleasurable experience.